Snuggle up next to the fire with "Christmas Wishes." 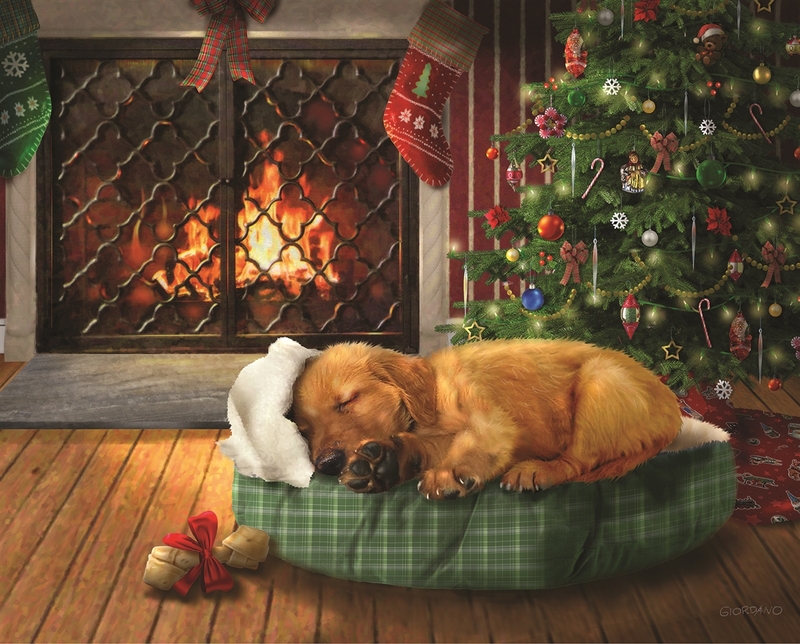 This 400 piece jigsaw puzzle is an adorable illustration of a puppy deep in dreamland waiting for Santa to bring him a gift. I just finished this puzzle and enjoyed the mixture of different size pieces. I did have 2 extra pieces, probably at the expense of someone else.